Wheeler Trigg O’Donnell is pleased to welcome Linda Knight to the firm as Of Counsel. 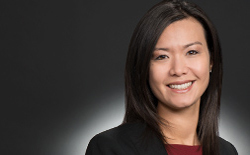 Linda joins the firm’s insurance practice, which represents insurers and their insureds in complex and high-stakes litigation, trials, and appeals. Prior to joining WTO, as an attorney in the Denver office of an AmLaw 200 firm, Linda built a national practice representing insurers and their insureds in complex litigation. She has served on eight trial teams during her career and has served clients as national trial counsel in federal and state courts in 17 states. Linda has particular experience defending insureds in catastrophic loss cases when the stakes are high. She also defends insurers against bad faith and coverage claims, including extra-contractual liability. Whatever the issue, Linda brings exceptional creativity to bear for clients when reading juries and judges in diverse jurisdictions. Linda is a member of the Litigation Counsel of America and a 2007 graduate of the University of Denver Sturm College of Law. Colorado Super Lawyers has named Linda a Rising Star in Insurance Litigation for six straight years.